One little monkey jumping on the bed. Don't worry he didn't bump his head. 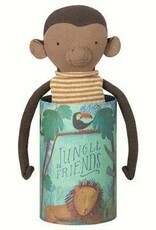 He comes in a beautiful gift box and has magnets in his hands so he can climb and hug. 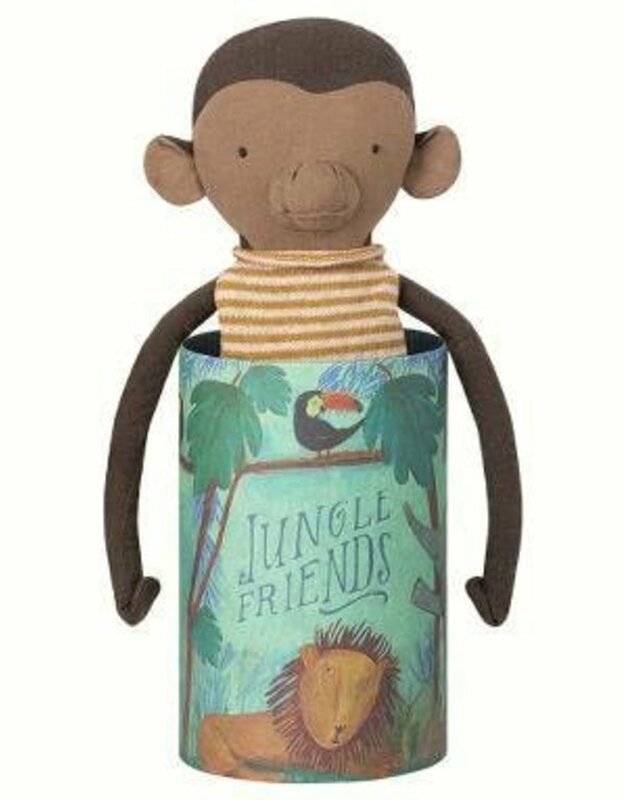 He comes with a striped yellow shirt but you can change with the Best Friend Clothing.